Police units. Why in the world would there be police units in a strategic science fiction game? Because there are criminals, smugglers, pirates, guerrillas and who knows what lurking in the backwoods of alien planets. 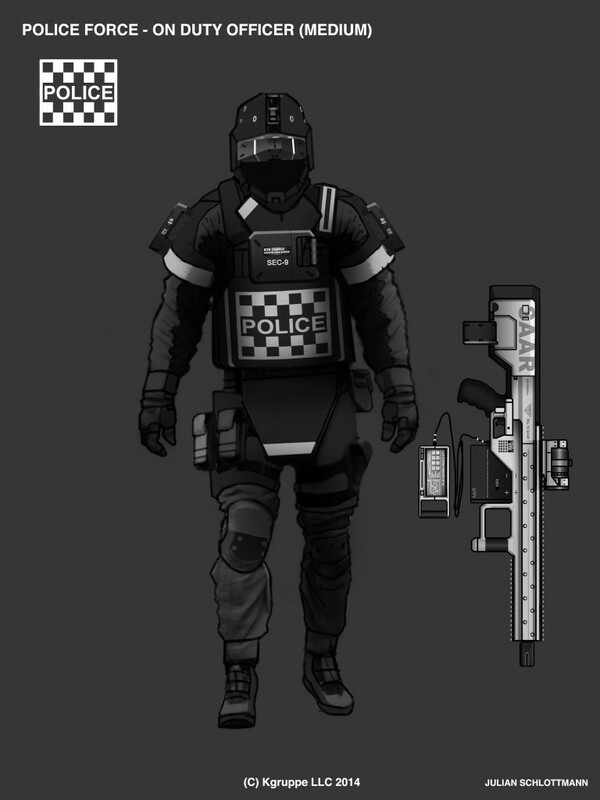 Police units are designed in the same manner as military units. There are light police units, medium police units, police mechs and armored vehicles. They are effective in battling the aforementioned bad guys. Their cost is less than most military units. They have some defensive ability, but are no match for regular military troops. They will defend if attacked by invading troops, guerrillas, pirates or military troops. Police do have offensive capacity against guerrillas. Police units are only able to operate on habitable worlds and certain large colonial facilities. They are transported as other military units but do not participate in planetary invasions. They may only be transported to a planet or facility only if the world or facility is completely in friendly hands. Players will be able to maintain planetary garrisons of police units at a lower cost than colonial or regular military units. They will also be able to mount deadly search and destroy missions against guerrillas and smugglers with police units specially built for the task. The police trooper pictured above is wearing medium threat level body armor. He is armed with an RG-18 SAAR Railgun. It is also equipped with an AriteTL-3.4x scope and an IVP v.2 system checker. This unit type is a serious threat to smugglers and guerrillas and can, with the mechs or armored police vehicles, hold their own against colonial infantry and light military units.